The Hut Group is eyeing up a takeover of US-based dieting and sports nutrition brand Ideal Shape, according to Sky News. The Cheshire-based online retailer, which reported underlying profits up 50% to £22.6m on sales of £244m in 2014, is said to be paying up to $100m for Ideal Shape. The Hut Group's brands include Myprotein, Grow Gorgeous and Myvitamins, and it has recently bought Skinstore from the owner of Boots the Chemist and acquired Hale Country Club in Cheshire. Launched in 2003, Ideal Shape targets women and is growing revenues by more than 250% annually. 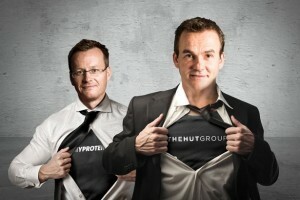 The Hut Group was established in 2004 by chief executive Matt Moulding and chief financial officer John Gallemore to provide a technology platform for retailers requiring e-commerce services. In 2006, it switched to operating its own websites and acquiring established sites. Two years ago it sold a 19.2% stake to private equity firm Kohlberg Kravis Roberts, while other investors include Balderton Capital and Blackrock.